Back in September, the town of Bakersville, Ohio made national news when a video went viral featuring thirteen of the high school’s elite in compromising positions. Now it’s May, and every month since the “Bakersville Dozen” made their infamous appearance on the national stage, one girl has gone missing. Officials are no closer to identifying the criminal.Bailey “Like a Virgin” Holzman is getting really fed up with the scrutiny. She just wants to enjoy the rest of her senior year and have an epic summer before heading off to college. So when she discovers a note in her locker on the last day of school inviting her on a scavenger hunt, she thinks it’s just a sweet surprise from her boyfriend trying to cheer her up.But following the clue leads her, instead, to the first official casualty. And another sinister envelope. The killer is close, and it could be anyone. Even the people Bailey’s always trusted most—her best friend, her perfect boyfriend, or the boy-next-door she’s always pined for.With the clock ticking, she faces a terrifying choice: play the game by the killer’s rules—follow the clues, tell no one, and no cops—for a chance to save the rest of the missing girls, or risk becoming the next grisly victim. BEING THE MEAN GIRL NEVER PAYS OFF. SCAVENGER HUNTS AREN'T ALWAYS A GOOD THING. This was the perfect way to wrap up my summer reading and kick the Fall season off with a bang! The Bakersville Dozen had me at Hello. The moment I read the synopsis I was hooked and knew I had to get my hands on it. Lately, I have been on a Mystery & Thriller kick so when I had the opportunity to pair my latest flavour of the month with my favourite genre(Young adult) how could I not seize that moment?! Kristen McBride takes the dangers of cyberspace and bullying and intertwines them into a spine-tingling, page-turning experience. I nearly gave myself paper cuts because I was devouring the book so fast. Eager to know the what's, who and why's. She penned an epic character cast. Some characters you'll love, while others you'll hate. Perfection! She also pairs this character cast with an eerily spooking setting. Sending Bailey on a haunting scavenger hunt with a high risk/high reward. Follow the rules, save a girl. Mess up, girl dies. Kristina McBride's writing style is refreshing. It's simple yet comes alive off of the pages. She doesn't drone on with unnecessary dialogue or send you down a rabbit hole of backstory. She delivers the story exactly how it should be. There are few books that I suggest should hit the big screen or netflix world because I fear them being completely ruined (as that's a fear for most bookworms) but I would LOVE to see this book come to life on the big or silver screen. I think it would be a hit! 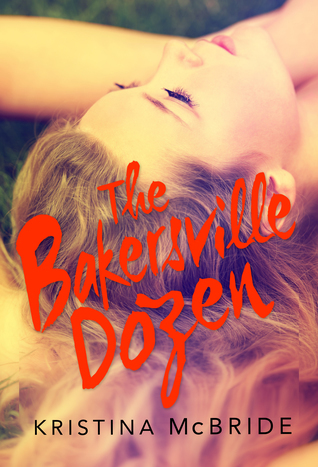 The Bakersville Dozen is the perfect cocktail of suspense and mystery. McBride paced the novel perfectly. Just giving you a little bit at a time to leave you hanging on to the edge of your seat, grasping for more. If the Mean Girls and Pretty Little Liars had a baby, it would be named The Bakersville Dozen. Of course, the book stands strongly on it's own, but it will definitely appeal to those fans, as it did me. The Bakersville Dozen was the dose of thrill I was looking for. It was a wild reading experience that I couldn't put down! "I strained to hear beyond the rasp of my breathing, reassuring myself that no one was following. That I was alone with nothing to fear but my own imagination"
You would not need to stress over the meeting on the grounds that your exposition will do half of your work for you. Your whole scholarly profession can be exceeded by an elegantly composed paper.Buy Dissertation Understudies who have a paper composed amid their scholarly vocation are considered path in front of whatever is left of the group.